On Friday, President Trump called on the Department of Justice to investigate who wrote the piece, citing national security. On Thursday night, Trump told a crowd in Billings, Montana that the Times should publish the name of the author at once. Bannon warned liberal progressives within the Democratic Party that they would suffer the same fate as Trump. For an example, look no further at how establishment Democrats shunned Alexandria Ocasio-Cortez arer after her upset primary victory over the 4th most powerful Democrat in the House, Joe Crowley. 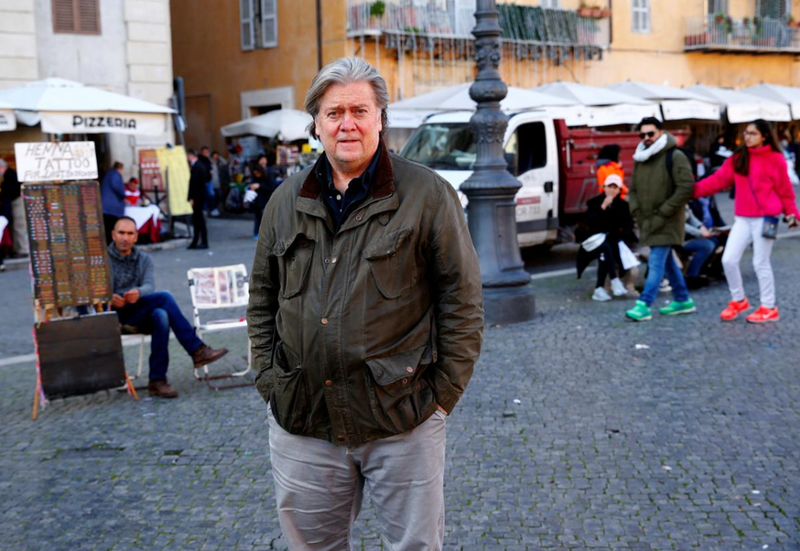 "Don’t think it will be any different if you take power," Bannon warned outsider liberal candidates like Bernie Sanders. "Because this is the established order dictating that they know better than the people."